The event was co-ordinated by the Canadian Labour Congress (CLC) and saw more than 130 trade unionists and community allies meet with 78 Senators and Members of Parliament to discuss issues such as missing and murdered Indigenous women, safe drinking water, honouring residential school children, Indigenous education, and the National Day for Truth and Reconciliation. 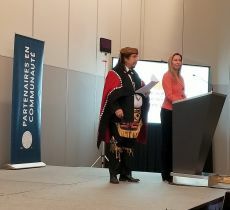 At the opening plenary for the event, activists gathered for a traditional smudge ceremony and heard from CLC President Hassan Yussuff, as well as Sixties Scoop survivors and traditional elders. In addition, activists took in several dance performances and received training on effective lobbying. 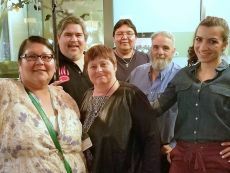 “This event provided a historic opportunity for UFCW activists to discuss issues facing Indigenous community members, and to work towards the objectives of our Indigenous Sub-committee,” says Paul Meinema, National President of UFCW Canada. 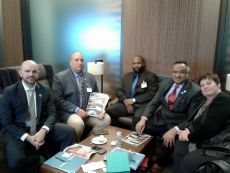 “The lobby day is a great example of solidarity in action, and our union was thrilled to participate,” the UFCW leader adds. “Participating in the lobby day made me feel empowered,” says Angela Fiddler, a proud member of the UFCW Canada Indigenous sub-Committee. “As an Indigenous person, this event presented an opportunity to stand up to government and tell them what we need, instead of having government officials decide what they will allow us to have,” she adds. 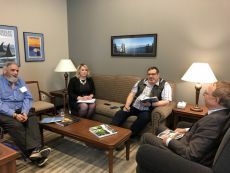 UFCW Canada’s participation in the CLC Indigenous Rights Lobby Day was part of our union’s ongoing efforts to achieve Indigenous justice in Canada. To find out more about UFCW Canada’s work in this area, visit ufcw.ca/socialjustice.